Digital transformation is a phrase which gets used often these days. 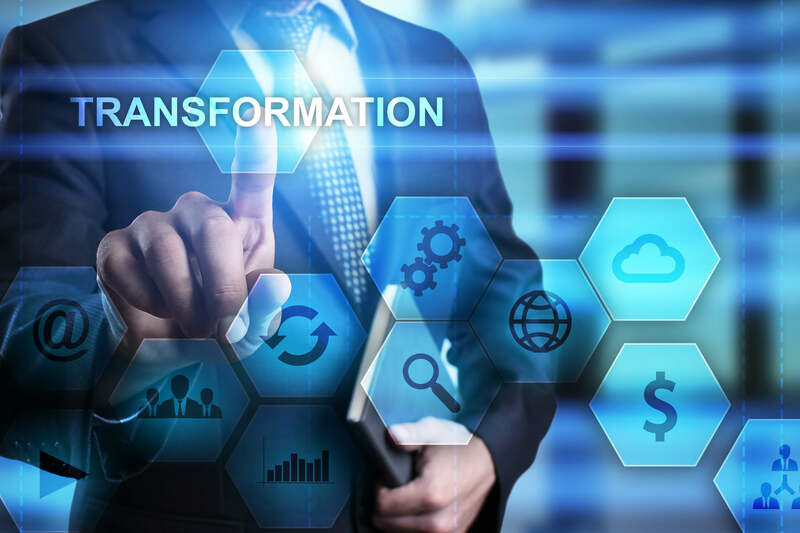 Personally, I prefer “data-driven transformation.” Digital transformation has been going on since the merging of IT and business in the 1970s, or possibly before. What is driving the latest, and potentially most disruptive, wave of change, is the skyrocketing amount of information we are now able to capture, analyze and learn from. These insights are changing the very way we do business and interact with customers. Previous phases of the evolution of digital technology laid the foundations, but the era of the Internet of Things– with everything connected, online and communicating – will be more transformative still. Never before has IT played a more pivotal role. Traditionally seen as a tool to keep business processes running efficiently behind the scenes, in the age of Uberization and Big Data, IT has become the business process. Companies and organizations which effectively navigate and harness the flood of available data – from within and from external sources – have got a bright future, while those that miss the boat will flounder. And more likely than not, IT will be the deciding factor. I spoke to Mark Hill, Vice President of Digitization at Cisco, about his thoughts on the important shifts going on in the industry, and how IT is helping companies develop new business models to adapt to market and competitive forces, fundamentally changing companies’ relationships with their customers. It’s a great example of a response to a vital real-world issue – balancing security and privacy – solved with a new way of looking at an abundance of data. And of course, it was a solution engineered and implemented entirely through IT. Company objectives can change overnight,and the speed and volume of data-driven insights is accelerating. Many, Cisco included, recognize customers’ needs for a more flexible, more agile approach to consuming and managing IT. Cisco is addressing this on multiple fronts, including taking on the perennial issue of complexity in software agreements. Software innovation plays a huge role in enabling change on this scale, but to fully recognize the benefits of digital transformation requires a fundamental rethink of many of the principles that modern networking is based on. Whereas twenty years ago a business may have had two digital data connections to the outside world – telephones and PCs – today data comes in from every angle. Cameras, sensors, scanners, transactional systems, mobile phones, wearables, social media and customer feedback mechanisms can all be mined to provide insights on how to do things more efficiently and effectively. One such change is the movement towards “edge analytics”. Rather than sending data bouncing between clouds and servers, allowing it to become stale before it is even looked at, edge computing is about processing data as closely as possible to its source, by embedding algorithms in the sensors and monitoring devices themselves. This paradigm change can drastically reduce energy, bandwidth and storage wasted on data which will never do anything useful, and cut the time needed before value will be seen from it. Automated cars provide a good example here – while all the vehicles in a fleet could be considered to be one network, sharing data among themselves and learning from it, there will be situations where a car will have to make a decision for itself, independently of the rest of the network – perhaps to take urgent action to avoid a collision. In this case, the cars themselves would be considered “edge” devices. Moving forward into an era where the challenge will not be to connect a billion devices, but rather to connect billions of constantly changing devices every day, is likely to be taxing for any organization where the C-suite and IT are in less than total harmony. IT will clearly be more than simply a key to unlocking this transformation – it will be the substance and the material used to achieve it. And this is why the c-suite is increasingly interested in what IT is doing. What Is The Internet of Things (IoT) And How Will It Change Our World? The 4th Industrial Revolution Is Here - Are You Ready?